Learn to differentiate different species of carnivores. This course takes you through all of the carnivore families! You will learn how to describe biological characteristics of the families and genera that fall within the taxonomic order Carnivora. You will be introduced to the fundamentals about the taxonomy, biology and behaviour of carnivore animals. The course progresses by addressing the biological characteristics of various groups of carnivores. Study from home, at your own pace, tutor supported if you need it. Course devised by leading animal scientists. Gain an excellent foundation of knowledge for working with wildlife or pets - all taxonomic groups covered. Professional development for people working in animal welfare, veterinary, conservation, pet care, and related industries. Visit a zoo and observe carnivores. Take photos. If due to accessibility problems, you are unable to visit a zoo, you may complete this task by taking a virtual visit, and recording URL’s of photos and videos which illustrate different species you would expect to see. If you must do this, you need to explain why you cannot visit a real zoo, and you should ensure you observe primates moving on video and not just still images. Compare the skeletal system of 3 common carnivores. You may wish to gather your data in table format. Your table should include similarities and differences in structures as a minimum. Add any other column you can. General notes or comments are not appropriate here – be specific. Read about recent research genome evidence related to the GOLDEN JACKAL (African and Eurasian). Spend around 30 minutes reading the current research. Make simple notes on what you find. Choose a mustelid to research. 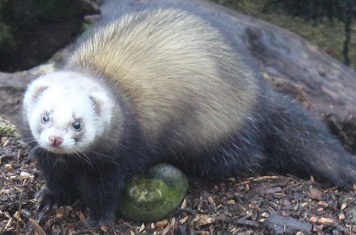 Consider the diet of this mustelid in its natural habit and physiological adaptations for its chosen diet. Next research feeding regimes which are suitable for this mustelid in captivity. WHY STUDY THIS COURSE? WORK WITH LARGE OR SMALL CARNIVORES! The Carnivore Zoology course is an insightful reference course providing a vast knowledge about these fascinating animals. It is aimed at students with a keen interest in carnivores or, equally, for those interested in animals in general and wanting to specialise. You might like to start with this module and get a taster for studying with us. You might later go onto to study zoological science at diploma level (for example). Carnivores are animals with four limbs (tetrapods), like reptiles, amphibians and birds. Carnivores are also mammals. That means they produce live young, produce milk and grow hair, like primates, ungulates and rodents). Members of the Order Carnivora are typically carnivorous – carnivore means “meat eater”. There are however exceptions to this, with many being omnivorous and some that are even completely vegetarian. In this course, we study mammals in the Order Carnivora which consists of at least 286 species. Most have teeth modified for eating meat (with some variations). Most are medium sized animals -smallest a weasel around 80 grams, and largest are elephant seals to around 3,600 kg. Many are top predators in their ecosystems. ACS IS THE PLACE THE STUDY ONLINE. WE WORK FOR OUR STUDENTS - WE LISTEN TO FEEDBACK AND CONSULT WITH INDUSTRY TO GIVE YOU THE BEST POSSIBLE ONLINE LEARNING EXPERIENCE AND GRADUATE TO FIND REAL SUCCESS. You can find out more about what it's like to study with us - watch this short video. Or contact us if you have any questions about this or any of our courses. Call us on 01384 442752. Livechat with us now - check out the bottom right of screen and chat now. To connect with a friendly tutor or enrolment advisor, please use our FREE COURSE COUNSELLING SERVICE. Quality Courses - written and taught by experienced animal science specialists. Great support - unlimited tutor and administrative support for the duration of your studies - as much or as little as you need. Flexibility - study at your own pace, study where you want to with online or receive your materials on a USB.